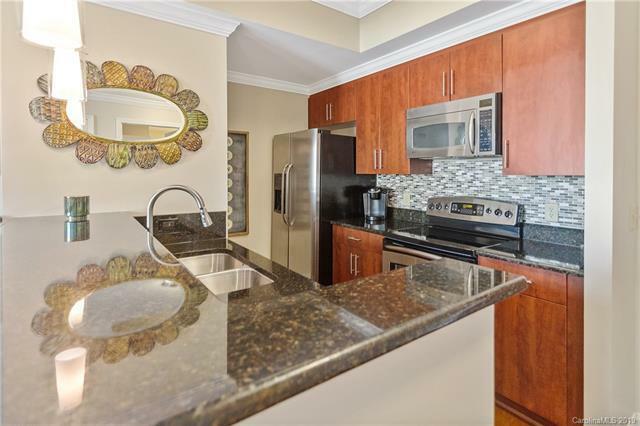 Amazing location w/ complex directly above Uptown's only Harris Teeter and across the st from recently updated 4th Ward Park. 1 bedroom 1 bathroom condo w/ a large covered porch looking out over the beautifully maintained courtyard and pool. 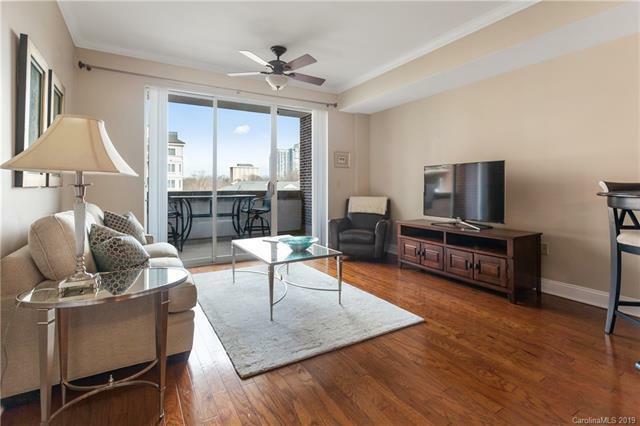 Unit has hardwood floors, crown molding, ceiling fan/light in main living area. 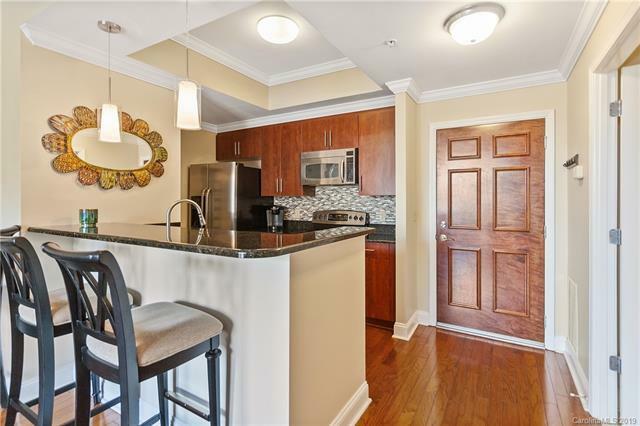 Kitchen has granite counters, a recently updated tile backsplash, hanging pendant lights, and trey ceiling w/ crown molding. Large bathroom w/ access to main living area and Master Bedroom. Master has a large walk through closet and ceiling fan. Fifth & Poplar's plentiful amenities include: Large workout room w/ free weights/machine weights/cardio equipment, swimming pool w/ grill area, coffee bar included, 24 hour concierge with touch screen unit specific communication center, computer lounge with 3 Mac computer stations, pool table and entertainment room, dry cleaning service available, common area with fireplace, pet area, and putting green. Secured parking deck.